According to CoreLogic's latest National Foreclosure Report, there were 61,000 completed foreclosures in the U.S. in January 2013, down from 75,000 in January 2012, a year-over-year decrease of 17.8 percent. 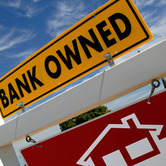 On a month-over-month basis, completed foreclosures rose from 56,000 in December 2012 to the January level of 61,000, an increase of 10.5 percent. 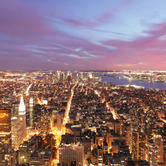 There is a massive amount of capital today looking to buy commercial real estate, says Dan Fasulo, managing director at Real Capital Analytics. This appetite is partially generated by the policy of the US Federal Reserve, which is forcing capital into the property markets by keeping interest rates low, he says. 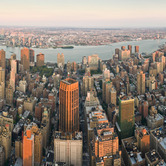 "When you have an investment property with 6% to 8% unlevered returns, which means that, with leverage, the returns could be in the double digits," that makes commercial real estate attractive to a lot of investors, says Fasulo. Q1 - I am thinking of closing an old credit card that I never use will this hurt my credit? I am planning on buying a property and don't want my score to drop. A - This is a good question, and the answer is yes, this could damage your credit score. Since this is a credit card and falls into the revolving credit category, when it closes you will lose the utilization allowance that the limit on the card gives you. According to the National Association of Realtors (NAR), pending home sales rose in January, and have been above year-ago levels for the past 21 month. There were healthy monthly gains in all regions but the West, which is constrained by limited inventory but was slightly improved. 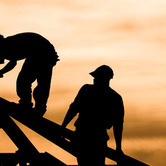 According to the National Association of Home Builders (NAHB), the budding U.S. housing revival driven by pent-up consumer demand still faces a number of obstacles, including tight credit for builders along with a stretched lot and building supply system in many markets that are barely keeping up with demand. The precarious support system to housing could threaten the fragile housing and economic recovery now under way. 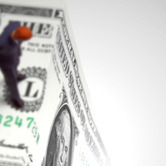 The $85 billion chunk that will likely be extracted from the US federal budget, and therefore the US economy, during the process of sequestration-- slated to begin on March 1--will be a blow to US commercial real estate. Because the federal government is omnipresent--as an office tenant, as a builder of roads, bridges, military facilities, prisons and even offices--the revenue that the federal government contributes to the commercial real estate economy will be missed. 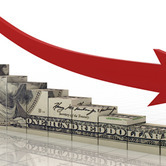 According to the California Association of Realtors, higher home prices offset lower interest rates to reduce housing affordability in California during the fourth quarter of 2012. The percentage of home buyers who could afford to purchase a median-priced, existing single-family home in California decreased to 48 percent in the fourth quarter of 2012, down from 49 percent in third-quarter 2012 and from 55 percent in fourth-quarter 2012, according to C.A.R. 's Traditional Housing Affordability Index (HAI). 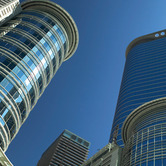 Senior commercial real estate executives' are feeling relatively positive about current and future conditions in the commercial real estate market, according to a first quarter 2013 Sentiment Index put out by the Real Estate Roundtable. But these upbeat sentiments relate mostly to commercial real estate in so-called Gateway markets, where valuations, equity and capital availability are recovering more quickly, particularly for Class A assets, than for B and C properties in secondary and tertiary markets. Imagine yourself in the middle of the rainforest. An overhead canopy of thick tropical trees sways against a clear-blue sky. Droplets of moisture cascade down from leaf to leaf. The air is fresh and fragrant with tropical dew. The vegetation blooms in a thousand different techni-colors. And all around you, eyes are watching...eyes belonging to some of the most exotic species on Earth. 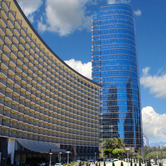 According to STR, the U.S. hotel industry reported increases in all three key performance metrics during January 2013. 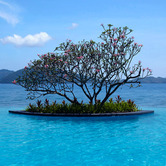 Overall, the U.S. hotel industry's occupancy rose 3.6 percent to 51.0 percent, its average daily rate was up 5.1 percent to US$105.96 and its revenue per available room increased 8.8 percent to US$54.02. 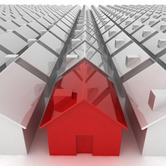 According to the Mortgage Bankers Association's (MBA) recently released National Delinquency Survey, delinquency rate for mortgage loans on one-to-four-unit residential properties in the U.S. fell to a seasonally adjusted rate of 7.09 percent of all loans outstanding at the end of the fourth quarter of 2012, the lowest level since 2008, a decrease of 31 basis points from the previous quarter, and down 49 basis points from one year ago. Imagine a place so remote and so flat that you can actually see the curve of the Earth. And so quiet that you can actually hear the blood circulating in your ears. 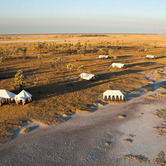 The Makgadikgadi Salt Pans of Botswana is such a place. The Salt Pans are the remnants of a vast prehistoric inland lake that was larger than Switzerland. It's now a desert. According to Roger Dow, president and CEO of the U.S. Travel Association, the looming sequester could have a negative impact on the travel industry. 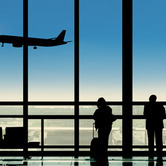 He also stated ensuing economic losses when business and leisure travelers choose to avoid flights due to delays and extremely long security lines would be significant. Dow's comments follow dire travel predictions by President Obama and a report from Democrats on the House Appropriations Committee. According to the Miami Association of Realtors, following the second consecutive record sales year, the Miami real estate market started 2013 strong with rising sales and prices amid limited supply. Miami-Dade County residential sales increased 7.5 percent in January compared to a year earlier. 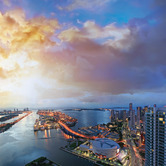 The sales of existing single-family homes in Miami-Dade increased 19.1 percent, from 691 to 823. 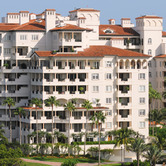 Sales of existing condominiums increased 0.3 percent, from 1,121 to 1,124, year-over-year. 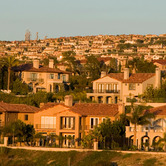 According to the California Association of Realtors (C.A.R. 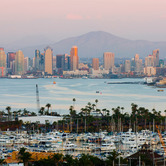 ), a typical seasonal slowdown coupled with a scarcity of available homes for sale put a damper on the California housing market in January 2013. "A rush by home buyers trying to complete sales of higher-priced homes by the end of last year in order to avoid capital gains increases pulled forward sales that might have closed in January instead," said C.A.R. President Don Faught. Q1 - What is a summary or restricted use appraisals? 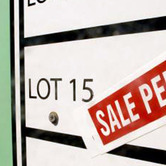 They are supposedly cheaper than regular appraisals and can be used as a guide for sellers when pricing their homes. Is this true? A - The answer, in short, is "not really.". To clarify the point, there are generally 3 types of report formats used by appraisers: self-contained, summary, and restricted use. According to the National Association of Realtors (NAR), existing-home sales in the U.S. slightly edged up in January 2013, while a seller's market is developing and home prices continue to rise steadily above year-ago levels. Sales rose in every region but the West, which is the region most constrained by limited inventory. 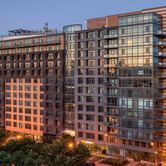 For the Washington, D.C metro apartment market, 2012 was a good year, but the outlook for 2013 and beyond may be affected by some troubling trends, not to mention the drama unfolding within the federal government. As of December 2012, the Class A stabilized vacancy rate for the Washington metro apartment market was a mere 4.2%, down from 5.0% the year before, according to a 2012 year-end Mid-Atlantic Class A apartment market report put out by Alexandria, Virginia-based Delta Associates. 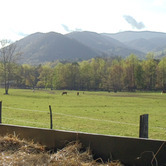 It's not hard to see how the Great Smoky Mountains got their name. At sunrise, the mountains are shrouded in a thick blue-gray haze. When the sun finally burns off the haze, the mountains emerge in a burst of brilliant blues and greens, and rows of sky-high ridges trailing off into the horizon, one after the other. 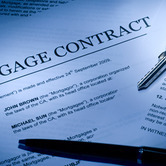 According to the Mortgage Bankers Association's (MBA) Weekly Mortgage Applications Survey for the week ending February 15, 2013, mortgage applications decreased 1.7 percent from one week earlier. The Market Composite Index, a measure of mortgage loan application volume, decreased 1.7 percent on a seasonally adjusted basis from one week earlier. On an unadjusted basis, the Index decreased 1 percent compared with the previous week.